August 8, 2015 from 6 to 10 p.m. The Southern Letterpress is open for a letterpress printing demonstration and letterpress print shopping during the August Second Saturday St Claude Art Walk in New Orleans. 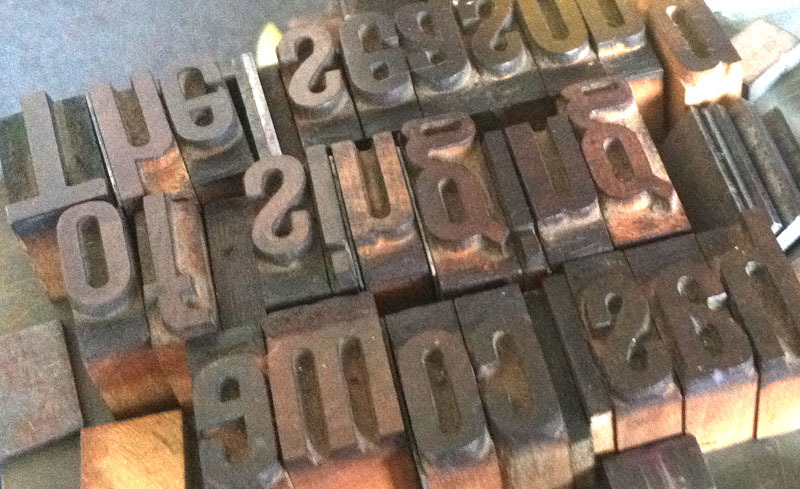 There is no better way to beat the heat than printing on a cold, cold, old steel printing press. And we’ll be printing some words to fight to heat. What words could those be? Come find out! Try out printing yourself! Print on the mighty Vandercook and take home a print for free! Second Saturday on St. Claude: The Southern Letterpress is part of Second Saturday Art Walk in the St. Claude Arts District. The storefront & gallery are open, and there is always a free printing or binding demonstration. Come on by and then visit the other great spaces on St. Claude: Antenna Gallery, The Front, Good Children, Dancing Grounds and more!